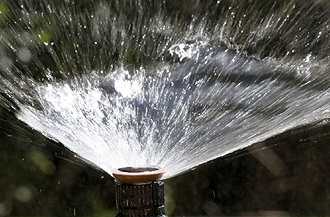 Sprinkler system repair, annual backflow testing, spring activation, summer adjustments, and winterization. Because water waits for no one. Heads, up? 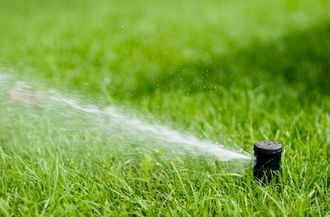 That’s often the first sign your lawn’s sprinkling system is in need of repair. It’s also often the only repair that’s noticeable – at the time. 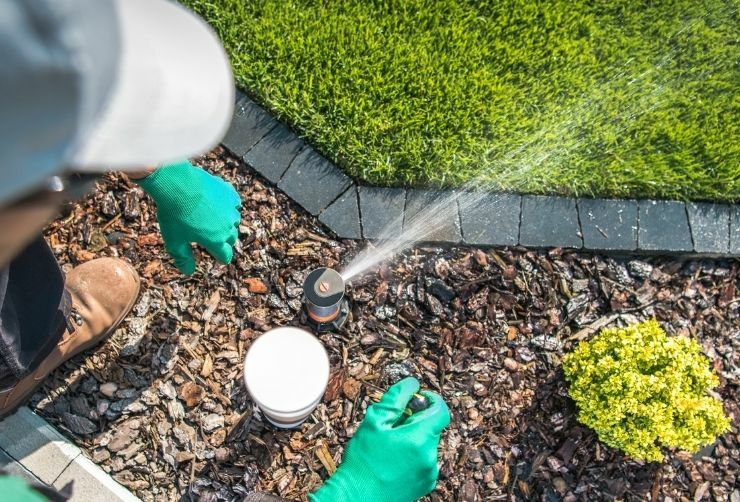 That’s why it’s so important to maintain a scheduled maintenance program throughout the year, especially since in these parts Mother Nature provides challenges the year ‘round. After turning off the system’s water supply, our winterization air compressor blows the lines clear of water. With either above-ground piping or an above-ground backflow preventer, you’ll want us to winterize before temperatures fall below 30⁰ F.
To keep groundwater contaminants from reaching your drinking water, backflow testing is conducted. In fact, the City of Wichita requires testing backflow preventers (PVBs) annually. Our professionally certified specialists are registered with the city’s Cross Connection Program. That way, we can not only conduct your backflow test, but ensure you’re registered, and your paperwork is up to date.